Epic Games announced in January that their free-to-play MOBA, Paragon, will be shutting down in April. 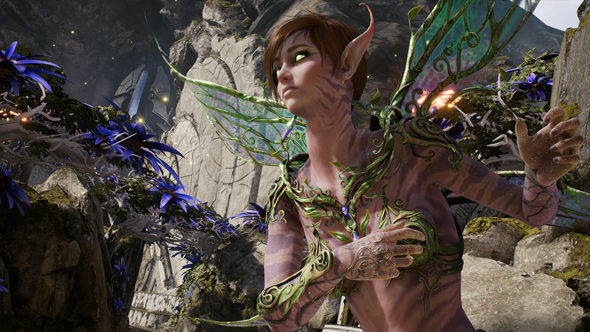 But, like a phoenix rising from the ashes, Paragon’s assets will be put to good use, with Epic Games offering them on the Unreal Engine marketplace for Unreal Engine 4 developers to use free of charge. Not sure which MOBA is right for you? We can help with that conundrum. Epic Games revealed in their official announcementthatthe assets’ combined worth is over $12 million, and includes “20 triple-A characters, and over 1,500 environment components from Paragon.” Epic also revealed they will be releasing additional characters from Paragon over the coming months. In addition, the videogame, and software developers announced the launch of Unreal Engine 4.19. The update includes significant upgrades, including sequencer cinematic workflow and landscape level of detail (LOD) improvements. The update includes much-needed improvements to rendering, physics, lighting, and terrain, making it easier and faster to run 3D content in Unreal. Other new features include the Maya Live Link, the unified augmented reality framework with AR project template, temporal upsampling, dynamic resolution, material layering, and physical light units. For more details on Unreal Engine 4.19, click here.